This print is the front section of a brochure, given to visitors to the Philadelphia Pennsylvania Temple, during its public open house from August 10-September 9, 2016. The architect for this Mormon temple is B. Jeffrey Stebar, of the Atlanta office of Perkins+Will. 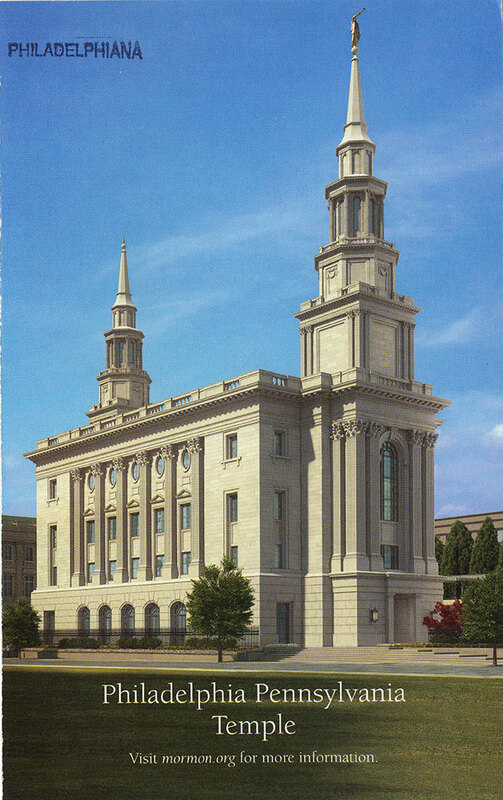 The image appears to be a detailed artist's rendering of the temple. Its neo-classical style is notable (and criticized by some), for blending in with that of the buildings nearby, rather than making a more modern statement. Located just off Logan Circle, on Vine Street, it is a prominent sight along the Benjamin Franklin Parkway.